Zucchini lasagna with six other vegetables. No pasta. No beef. Very little dairy (can omit). Sauté all vegetables. 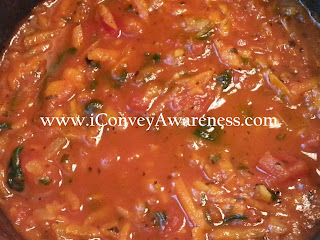 I didn't have any red wine available so I opted for adding 1 cup of organic tomato basil sauce to the above. 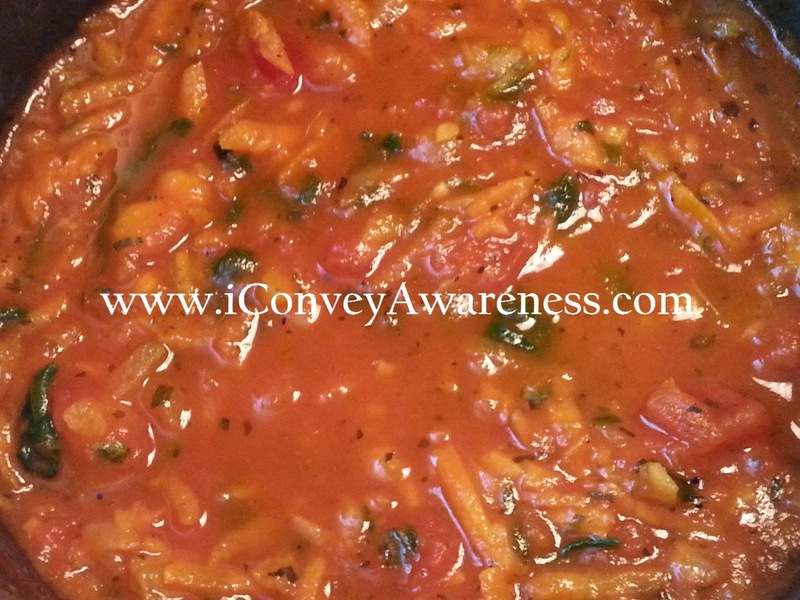 Simmer on low heat until ready to be used, about 20 minutes. 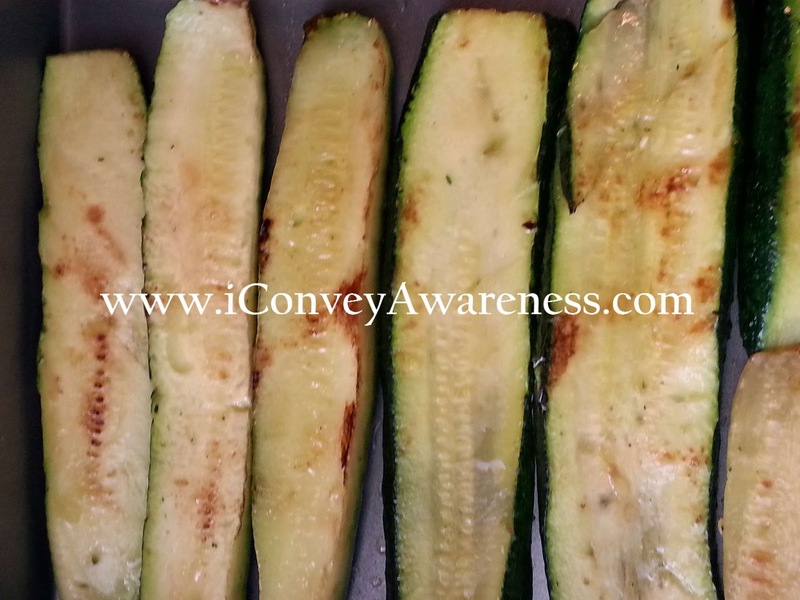 Cook zucchini on each side in a skillet with oil. 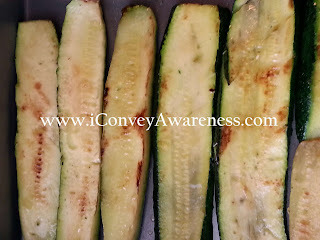 Season the zucchini before placing in pan. Cook each side 2 minutes. I purchased a jar of ready-made artichoke spread. All the ingredients are whole-food based and nothing added. 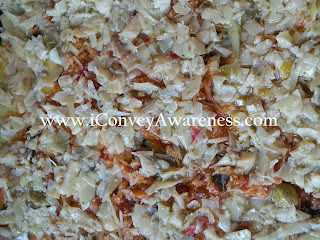 I used half of the jar or about 4 oz for where the cheese filling would be in a traditional lasagna. 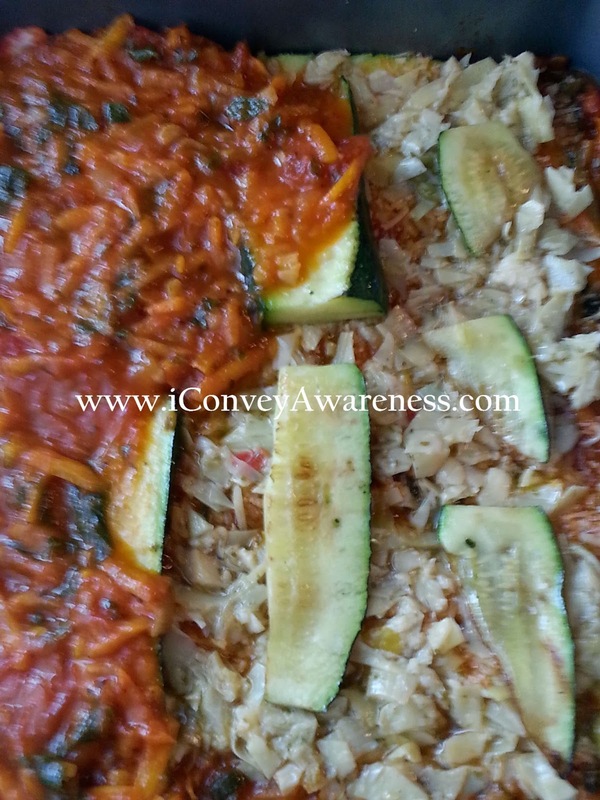 Line square pan with prepared zucchini. Top the zucchini with the tomato sauce and then add the layer of artichoke dip. 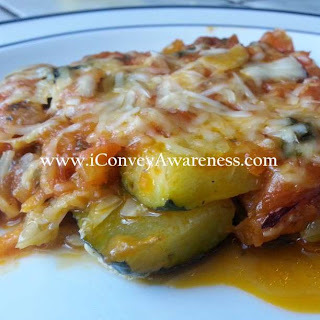 Add whatever leftover zucchini then top with more sauce. Add the optional 1-2 T grated Parmesan cheese. Bake uncovered for 20 minutes in a 350 degree oven. Let cool for 5 minutes. Dig in! Mysterious #fruit. It's a honeydew! Or is it? 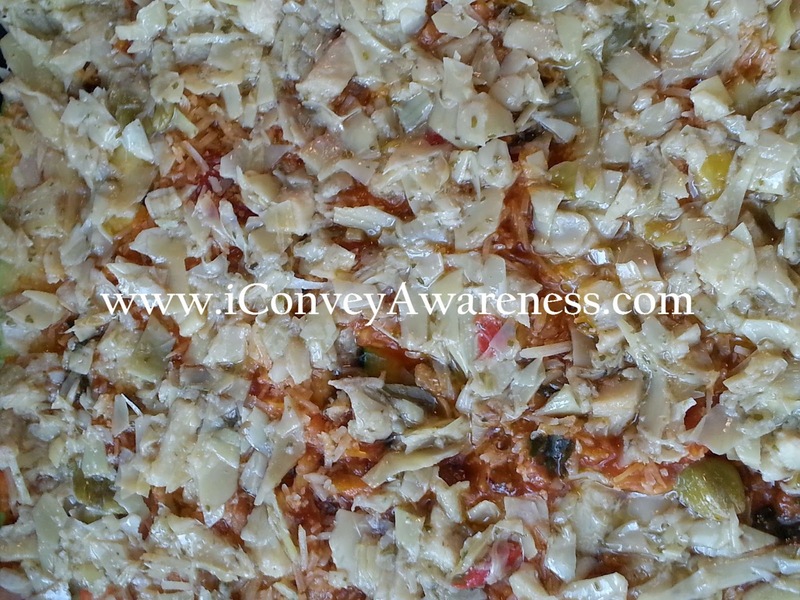 Benefits of #Fiber - The #L.E.A.N. Way!